Hi my name is Dion and I am an addict. An addiction more desirable than booze and costly than class A drugs, BMW M cars are my weakness. As I type, three of Bavaria’s finest chariots sit in my garage and on my drive and the only reason there isn’t a 4th M car in the fleet is that I have run out of space. An e46 M3 Convertible, an e60 V10 M5 and a Z4M Coupe make up the current collection and if the right e46 M3 Coupe comes up for sale over the winter I may have to swap out my current track car for a 4th M car. I don’t have unlimited funds (far from it), space or a wife that can’t count so what is it that fuels this addiction? To even approach that question I think you would have to look back at where it all started for BMW’s M division. The story begins in the early 1970’s with just a handful of engineers focused on a racing project known simply as the 3.0 CSL. Following on from the early success seen with the 3.0 CSL, BMW M quickly moved on to building road cars solely to adhere to homologation racing rules; the first of these cars being the iconic M1. Unlike almost every M road car since, the M1 was nothing more than a thinly disguised racing car built simply to fast track the racing version of the vehicle. BMW M Division’s first mainstream offerings really began to emerge in the 80’s with hot versions of the 5 and 6 series cars. While these cars were limited to a few thousand units each, they were instrumental in laying the groundwork for one of the most iconic cars of the 1980’s and one of BMW’s most revered models, the E30 M3. This was the model that made the world sit up and take notice. With the racing version of the car campaigning in virtually every major touring car championship globally, the allure of the road going version was practically a foregone conclusion. The road going E30 M3 was the first car to dramatically signal its superiority over the standard 3 series of the day with its mechanical prowess and highly impactful aesthetics. 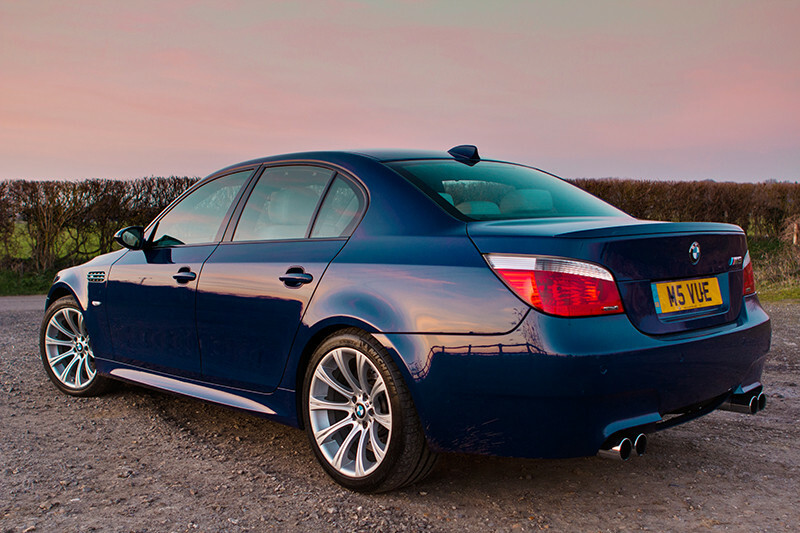 With no fewer than 12 unique body panel vs a standard 3 series, the M3 stood out from the crowd as “the” weapon of choice for aspiring mid level execs and petrol heads alike. If you wanted your “cooking version” 3 series coupe to take on the look of the touring car derived M3 you would have to replace every single panel on the car bar the bonnet and roof. Sadly this could not be said about the original car’s direct replacement, the E36 M3. A few M-Tech bumpers and an appropriate set of wheels meant that you could fool the vast majority of bystanders into thinking you were rolling around in the top of the range model. 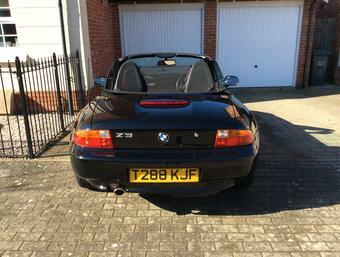 The directly interchangeable nature of the hardware between E36 M3’s and lesser models in the range directly fuelled a spate of M3 thefts during the 90’s. Insurance premiums rocketed as an increasing number of M3’s were found burnt out in fields minus body kit, wheels and the especially appealing Vader leather interior. Like an elephant killed only for its tusks, the E36 M3’s mechanicals, suspension and braking system remained untouched, it was being sacrificed for its aesthetic properties alone. Alongside the M3’s of the 80’s and 90’s the company’s larger 4 door saloon also came in for some M treatment. 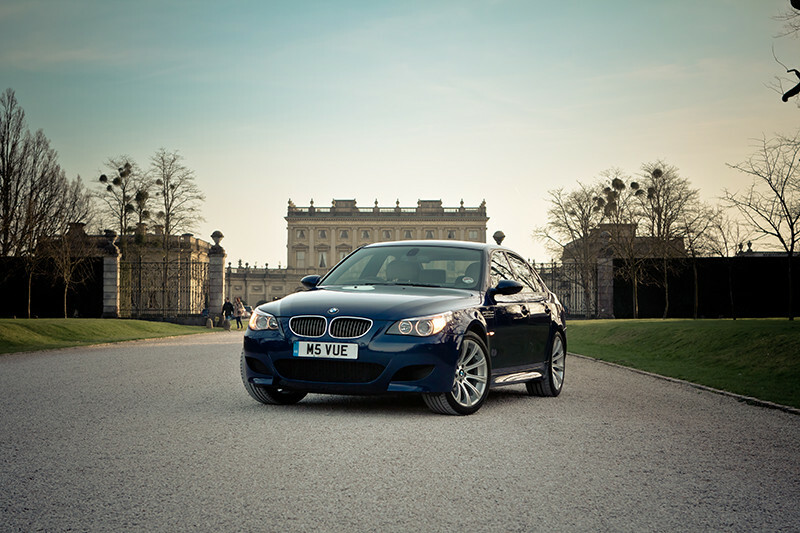 The first proper M5 was a direct descendant of one of the first M cars, the M535i, and the E28 M5 principally set the blueprint for the performance executive saloon sector that sustains a wealth of models today from a wide variety of manufactures. “Space Grace and Pace”, may be an apt phrase for an M5 from any era but the fact that on more than one occasion it has held “the fastest four door saloon in the world” title tells you everything you need to know about BMW’s aspirations for this marque. With BMW building around 2000 units of the first M5, the second (E34) and third (E39) generations sold in much higher numbers, approx. 12k and 20k respectively thus cementing their place as the aspirational anchor at the top of the 5 series tree. Hot 6 and 8 series models also joined the fray aiming for, but never quite toppling, the fearsome Porsche 911 of the 80’s and 90’s. M Division in the 00’s. 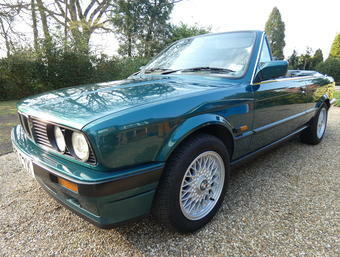 Being born in the late 70’s the models that sparked my interest in the M brand were principally the E30 M3 and the E34 M5. Both models were a towering tangible presence in the mind of any young petrol head and ignited a fire that still burns brightly within me today. By the time I had passed my test in the mid 90’s, the early M models were a relatively rare sigh on the road. 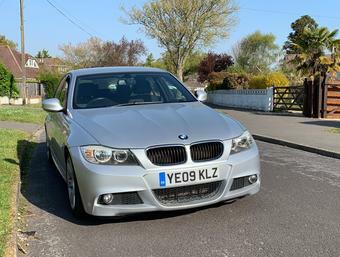 As I progressed into some slightly more swift machinery of my own around the millennium, the M cars that really drew me in to the brand started to hit the market. 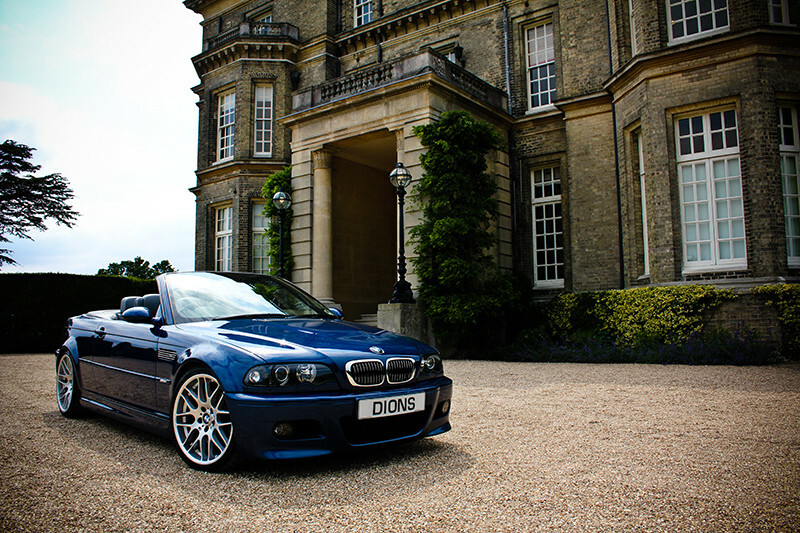 The E46 M3, Z3M Coupe and the E39 M5 hit the market in quick succession. Each model was an automotive sledge hammer blow; achingly beautiful looks, mind bending power for the time and luxuriously appointed interiors meant they were the ultimate in performance metal that the average Joe would be able to afford as soon as the kind hand of depreciation had gently guided them down market. These models represented the very best of BMW M in my mind; the ultimate version of an already class leading model in the case of the M3, the definitive exec bhp bruiser in the shape of the M5 and the Z3M Coupe was simply a nutty little number that only BMW would have the balls to build, wonderful. As lasting proof of the genius of this M car era, the ultimate incarnation of the brand’s most iconic marque was unleashed onto the market in 2004. The M3 Coupe Sport Leichtbau, or CSL for short, was a limited run (1400 units globally) special edition that formed the most direct link back to the original ethos of the M Division since the E30 M3 over 15 years prior. Although it was not a homologation special, the car was built without compromise as practically every component was rethought from the ground up. A useful slug of extra power was coupled with a mind bending weight reduction scheme. Everything was redesigned; from the striking bare carbon fiber roof, magnesium alloy wheels (forged by BBS) and stripped out interior to the somewhat less obvious elements of the car such as lower gauge metal used in the exhaust system and thinner glass in the rear screen. Ironically, the cars did not sell well when they were first launched. 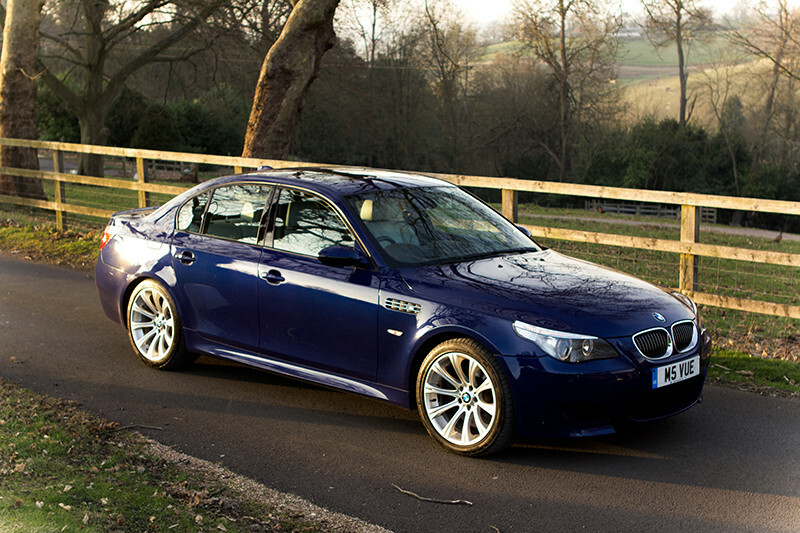 A combination of their £10-20k price premium over the already highly capable standard M3 and the fact that they were only available with a SMG (read: flappy paddle) gearbox led to BMW UK discounting the final batch of cars by around £10k just to finally shift them from the forecourts. Such is the allure of the CSL today that prices are climbing by an average of 20% a year. The very best low mileage examples are now north of £50k with one “museum quality” example currently for sale in the UK for £69,995. While this era of M cars produced instantly loveable models that drew almost universal praise, the mid 2000’s brought quite possibly the biggest styling departure for BMW in decades. An American designer, Chris Bangle, took the reigns at BMW and ignited the most controversial period of design in the company’s history. “Flame Surfacing” was the term coined (by a journalist not by Bangle as it happens) for BMW’s new design direction and I fully admit that when the basic models of the 5,6,7 and Z series were launched I was a little concerned. Just as the Bangle designed 7 series won an award for one of the ugliest cars of all time, BMW’s M division were rolling out their interpretations of the new design direction. I breathed a sigh of relief as the first PR shots of the 2005 M5 were released and this grew into outright lust when I saw one in the flesh for the first time. 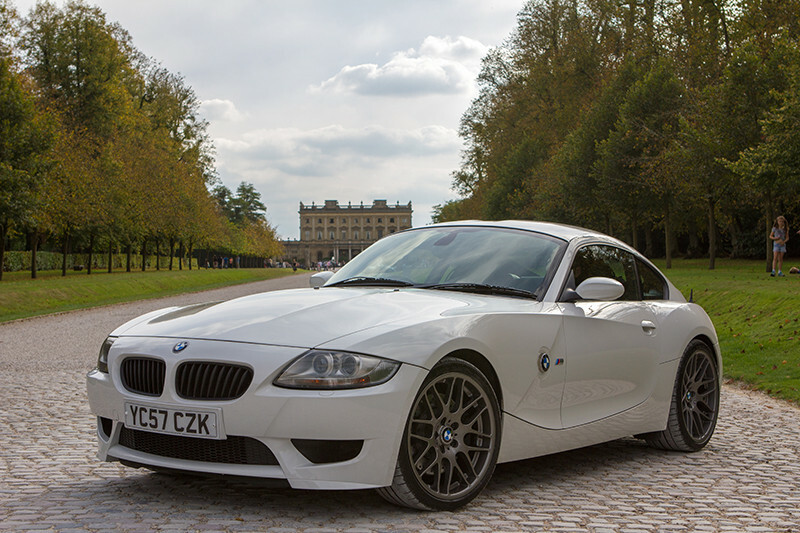 The M division’s reputation for transforming the mechanical dynamics of BMW’s mainstream cars was beyond reproach, they were now riding to the rescue of the design department with transformative bodywork and wheels to match. 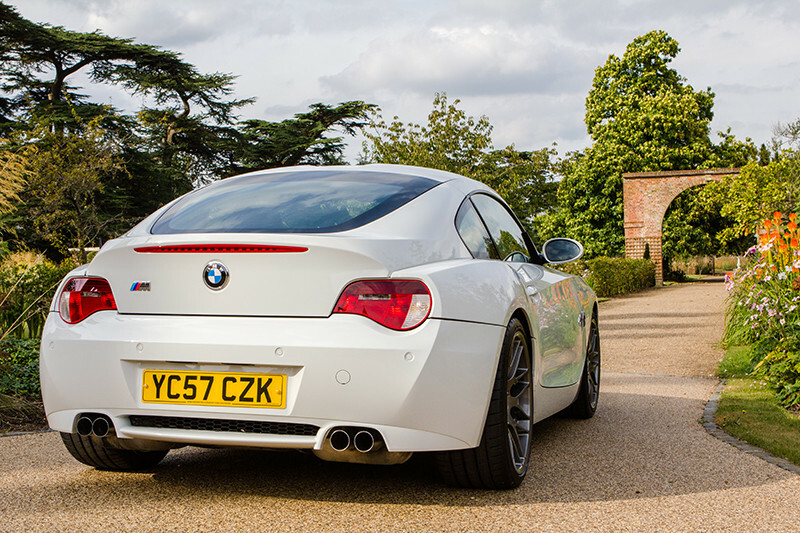 The 2005 M5, M6, Z4M Coupe and latterly the E92 M3 took the M game to a new level typified by ever more brutal power, striking design and technical leadership. The 507 bhp V10 engine that nestles inside the M5 and M6 of the day is a particular highlight for the M Division as it has won multiple “engine of the year” awards and remains one of the most special power plants of all time. 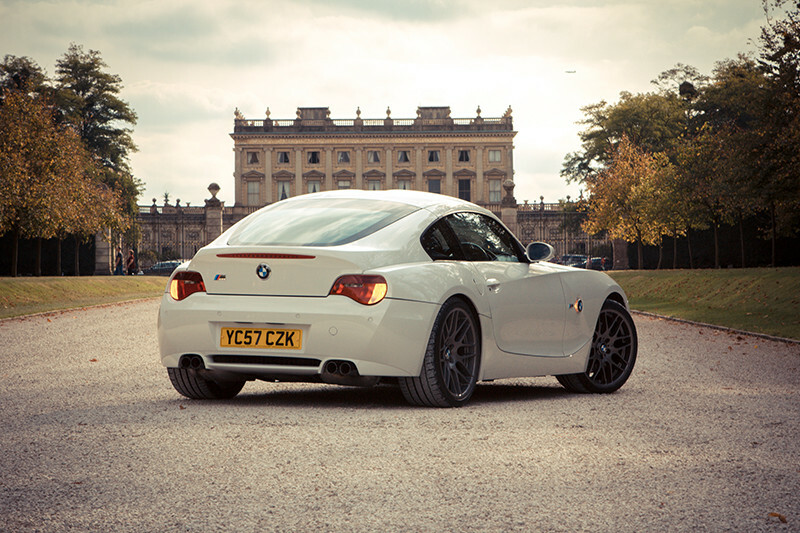 The V10 was inspired by the company’s F1 program of the day and was, unusually for BMW, built from the ground up and totally from scratch, thus not deriving any heritage from a previous BMW engine. While mated to the 3rd incarnation of the company’s SMG gearbox, the engine could propel the M5 to 60mph in around 4.5 seconds and on to a delimited top speed of 205 mph. Truly astonishing statistics for a 5 seat saloon car that weighs over 1800kgs. Recent emissions policies, safety legislation and the price of fuel have driven the biggest change in the M Division’s output since its inception. This policy trifecta can seem like “the fun police” as it forces a more sanitised approach to road sports car design and construction in the current era. It is easy to bemoan these restrictions as they increasingly make their presence felt in each new M car that hits the market but I think that is something of a distraction. Many of the compromises that we see today in the current batch of M cars are, in fact, the direct result of BMW’s own marketers, not legislative policy. Piping artificial engine sounds into the cabin via the speaker system, sticking an M badge on virtually every piece of internal or external trim across the BMW range and creating full fat M versions of the X5 and X6 completely outside of the actual M Division, are all signs that something is amiss. Truly iconic racing cars, definitive versions of already class leading exec saloons and coupes, quirky yet accomplished design experiments and yes even the engine that went into the McLaren F1 (basically two E36 M3 engines bolted together) to propel it to “the fastest road car in the world” status for 13 years… the M Division was behind it all. These are the things that fuel my M addiction today. 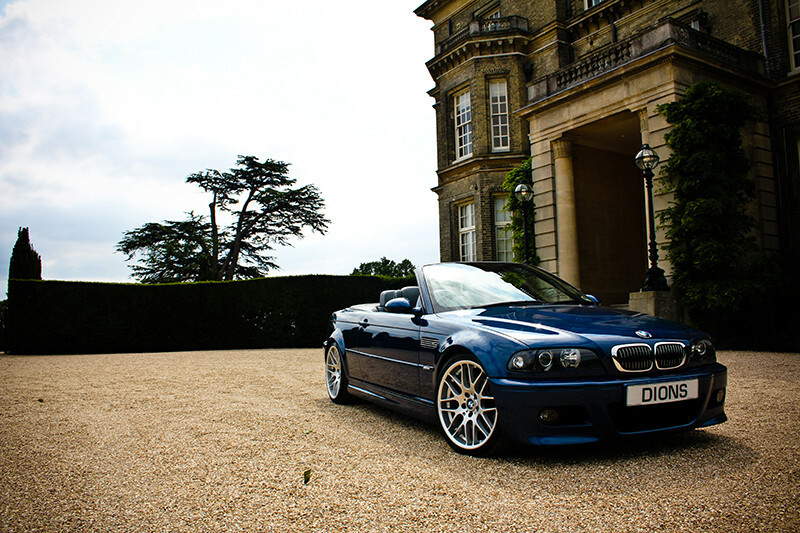 My M3 in convertible format is the ultimate all rounder from the E46 range, delivering blistering speed, a beautifully characterful soundtrack and with the roof down on a summer’s day and on an open road, I struggle think of many other places I would rather be. 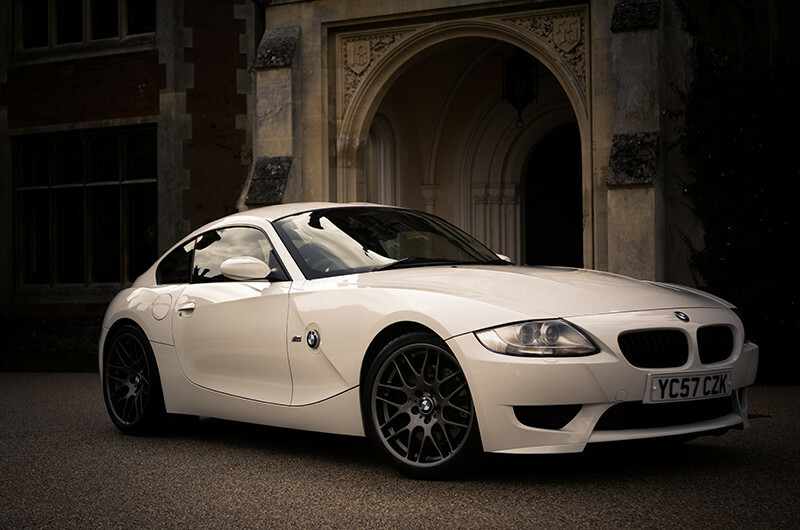 My white Z4M Coupe is one of 18 RHD examples brought into the UK making it one of the rarest performance BMW’s on the road. Its quirky design reminds me that the M division was once unafraid to experiment and fills me with hope that they will embolden themselves once more and deliver a surprise or two in the coming years inspire us all once again. What can you say about the V10 M5 that has not already been said? In what I like to image was a characteristically un-Germanic drug fuelled 3am white board creative session, the M5’s fundamental elements were scrawled by wiry haired engineers endlessly muttering “Iron fist in velvet glove”. They were clearly mad, and I love them for that. That is just one of the reasons that I own 3 M cars and I cant seem to sell any of them just yet. We can debate the future of the M division until we are blue in the face but what this part of the company is particularly good at (apart from making cars) is something quite different to BMW proper. 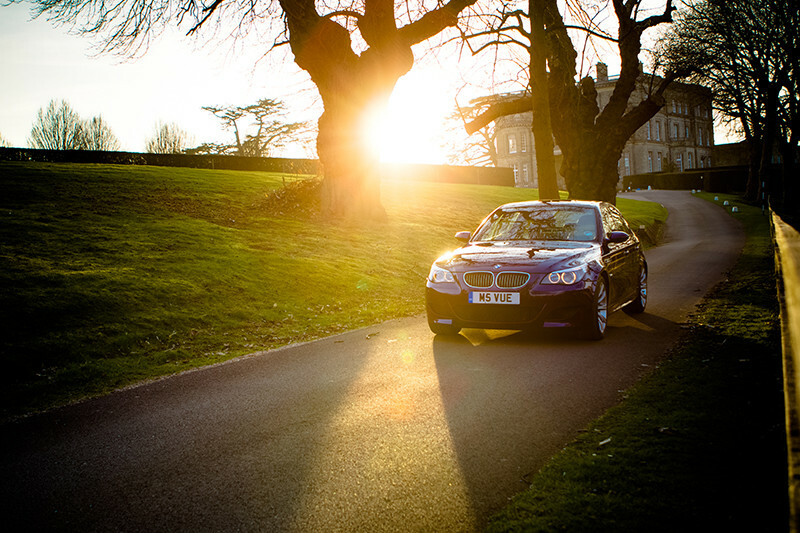 Simply put, BMW acquire customers but The M Division converts those customers into fans. Fans respect your history and live your journey (e30 M3) , they make irrational decisions (concurrently owning X3 M cars) and they forgive you when you make mistakes (piped artificial engine noise). Despite a few missteps of late, BMW’s M Division was set up for one purpose; to create the ultimate version of the ultimate driving machine. Their delivery on that promise creates a unique asset that few other marques can claim, true authenticity.